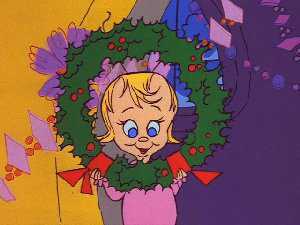 cindy lou who. how the grinch 偷了 圣诞节. Wallpaper and background images in the How The Grinch 偷了 圣诞节 club tagged: the grinch dr seuss. This How The Grinch 偷了 圣诞节 fan art contains 动漫, 漫画书, 漫画, 卡通, and 漫画卡通.